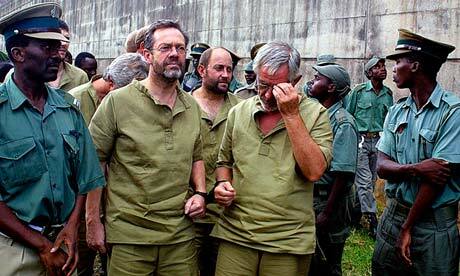 Margaret Thatcher approved of a failed attempt to use an army of mercenaries to overthrow the president of Equatorial Guinea, according to the unpublished memoirs of the chief protagonist of the bid, former SAS officer Simon Mann. The former prime minister, whose son, Sir Mark, was convicted in a South African court of involvement in the attempted 2004 coup, allegedly told Mann at a meeting at her Belgravia home: “I’m sure it’s going to work”. It is claimed that Thatcher likened the need for radical change in the oil-rich Equatorial Guinea to the way London’s Docklands had been redeveloped during the 1980s. In an affair known as the Wonga coup, Mann and 69 mercenaries attempted to replace Equatorial Guinea’s dictator Teodoro Obiang with an exiled opposition politician, Severo Moto, in March 2004. The escapade went dramatically wrong and led to Mann being convicted and imprisoned. Mann, whose father was George Mann, captain of the England cricket team in the 1940s, was pardoned and released from the regime’s notorious Black Beach prison in 2009, on humanitarian grounds. Sir Mark attempted to avoid implication in the illegal coup, but was found guilty by a court in South Africa, where he was living at the time, of having provided finance for helicopters to be used in the overthrow. He was fined $500,000 and given a four-year suspended prison sentence. On his release from prison, Mann said he could never forgive Sir Mark, who he claimed was a key participant in the military adventure rather than a mere investor, for failing to come to his aid. Details of the meetings between Mann and Baroness Thatcher, held in the lead-up to the attempted coup, were originally due to be published in Mann’s memoir, Cry Havoc, which came out in 2011. This section was removed on the advice of the publisher, John Blake. However, an early manuscript of the book has been obtained by the Observer and its full claims can be revealed for the first time. Thatcher’s mental capacity was already on the wane in 2003 – the year her husband, Denis, died – when the conversations are said to have occurred. Their content will prove embarrassing for her son as he prepares for his mother’s funeral on Wednesday. Mann had known Thatcher for a number of years by this time: the two were introduced by Sir Mark, who was a neighbour of his in Cape Town. 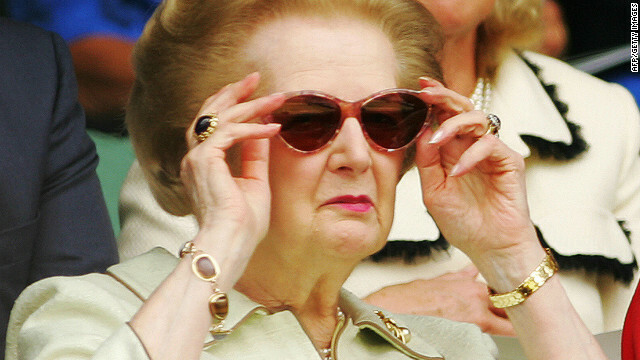 Recording a meeting that took place in the first-floor sitting room of Thatcher’s home in Chester Square, in London’s Belgravia, in autumn 2003, Mann says it became clear that the former Tory leader knew and approved of the plans for the Equatorial Guinea coup, describing them as “jolly good”.